Employers must remember that employees are not just workers but people. That means work can’t always rule the day. Employee resource groups can be an outlet for employees to take care of themselves. Finding work/life balance produces happier and healthier workers. College Recruiter is currently focusing on employee resource groups (ERGs) and is publishing the opinions of experts based on a series of questions. In today’s article, Julianna Akuamoah, Director of Talent & Development at Allen and Gerritsen, talks about culture as it relates to the well-being of employees. 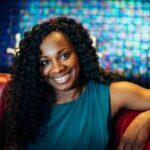 As the Director of Talent & Development Allen & Gerritsen, Julianna Akuamoah helps to ensure that all HR strategies fuel the agency’s growth with a focus on culture and operational efficiencies. She is a trusted advisor dedicated to fostering an award-winning work culture. She is also on the Advisory Council for InnerCity Weightlifting and is an active member of the Boston Chamber of Commerce’s Women’s Leadership Program.